UPDATE: Due to the forecast for some rather un-springlike weather, Peirce Mill is postponing its orchard cleanup to the following Saturday, April 14th. The mill starts running again that day as well. The date and time is updated below. If you help out at Peirce Mill on Saturday, April 14th from noon to 2 p.m., you may someday enjoy the fruits of your labors. Friends of Peirce Mill is seeking volunteers at the mill’s apple and pear orchard to help mulch the trees and paths. Shovels, rakes, and gloves will be provided. Many plants and animals go into hibernation during the cold months. Too bad the litterbugs don’t. That’s where Rock Creek Conservancy comes in. “What people don’t realize is that occasional littering in a metropolitan area eventually builds up. 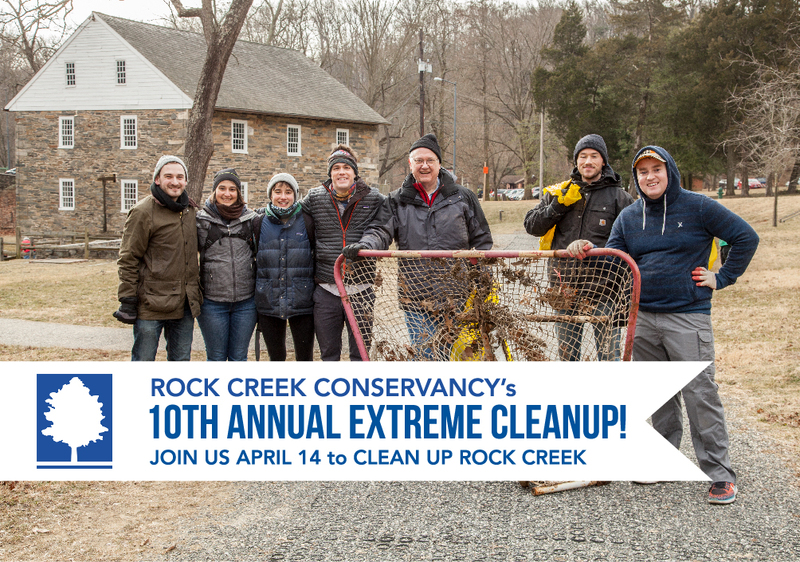 A straw here, a plastic bag there…it all finds its way to Rock Creek,” said RCC outreach and volunteer coordinator John Maleri in a press release. Part of the haul at a Soapstone Valley cleanup at Windom Place last December. 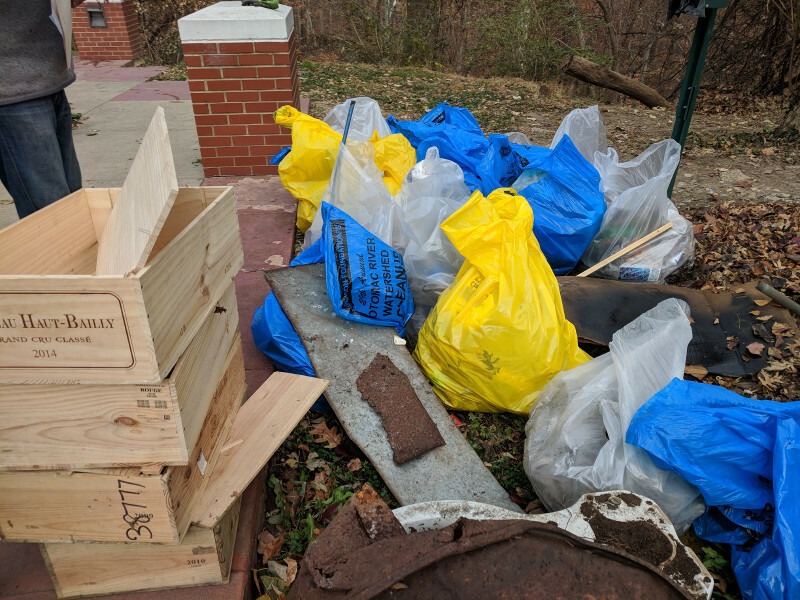 Local April 14th cleanups include Fort Reno, Soapstone Valley at Windom Place, and Soapstone at the Albemarle Street trailhead, each from 10 a.m. to noon. A Peirce Mill cleanup will take place on Sunday, April 15th from 10 a.m. to 1 p.m.
Friends of Forest Hills Playground is hosting an Earth Day cleanup at Forest Hills Park on Saturday, April 21st from 10 a.m. to noon. This cleanup has a rain date: the actual Earth Day, April 22nd. And with Rock Creek Conservancy’s help, the cleanup efforts are expanding beyond the playground area to cover the wider park. 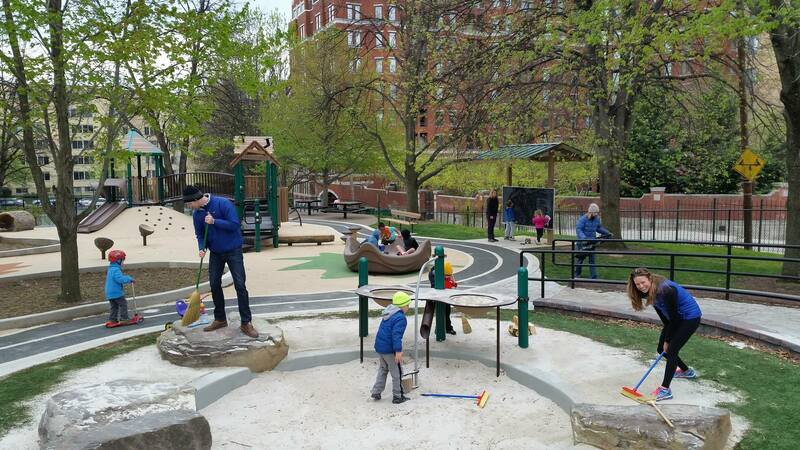 “The playground focus is sand and leaf cleanup. In the broader park, it’s trash pickup, especially near Brandywine Street,” said Friends of Forest Hills Playground in a Facebook post. Volunteers can sign up here. DPW is delivering rakes and brooms for the playground work. Volunteers are encouraged to bring their own tools if they have them, as well as gloves. Community service credit is available to students at most if not all of these cleanups.